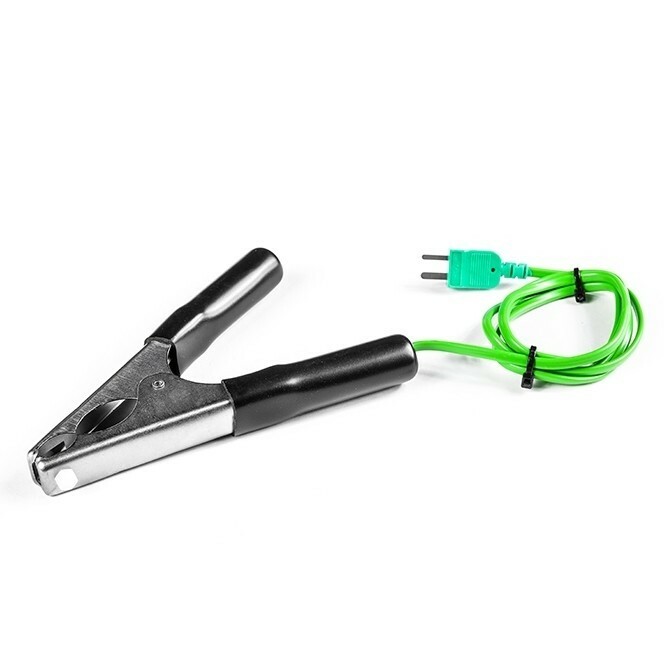 Type K Pipe Clamp Probe x2. 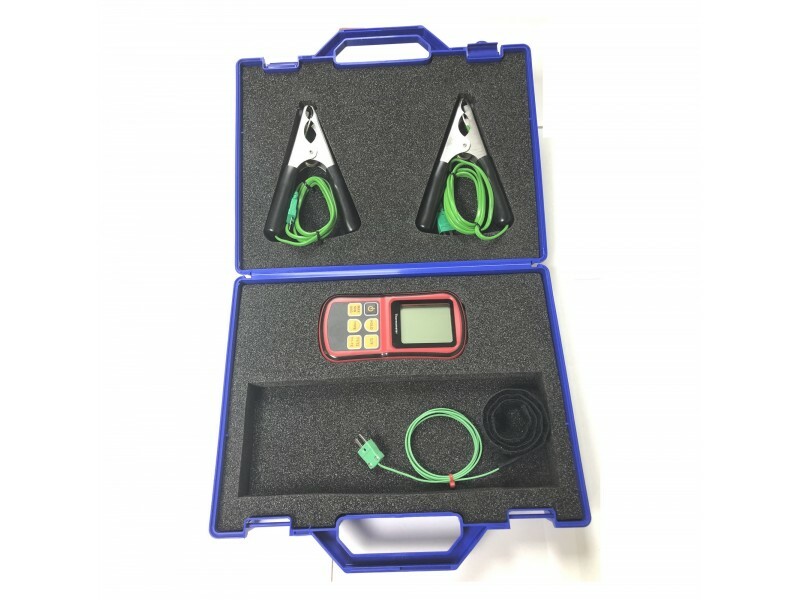 This pipe clamp probe is suitable for measuring the surface temperature of pipes in heating and ventilating systems, refrigeration and many other pipe applications. 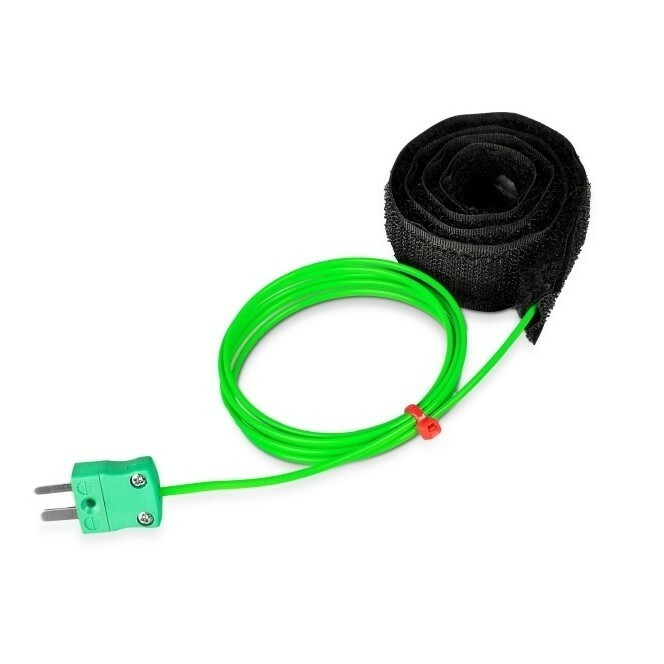 Velcro Thermocouple Type K. Velcro thermocouples can be used as a quick and simple method of measuring the temperature around the surface of a pipe. 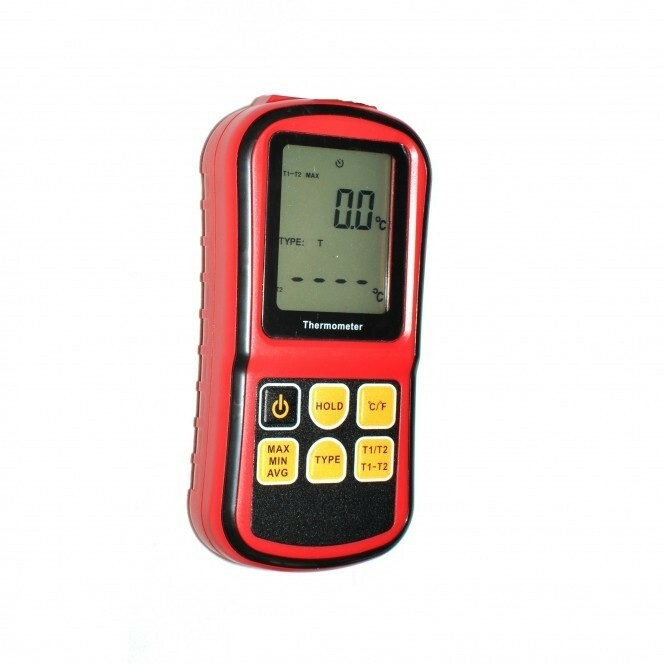 GM1312 General Purpose Digital Thermometer (K, J, T, E, N, R/S). 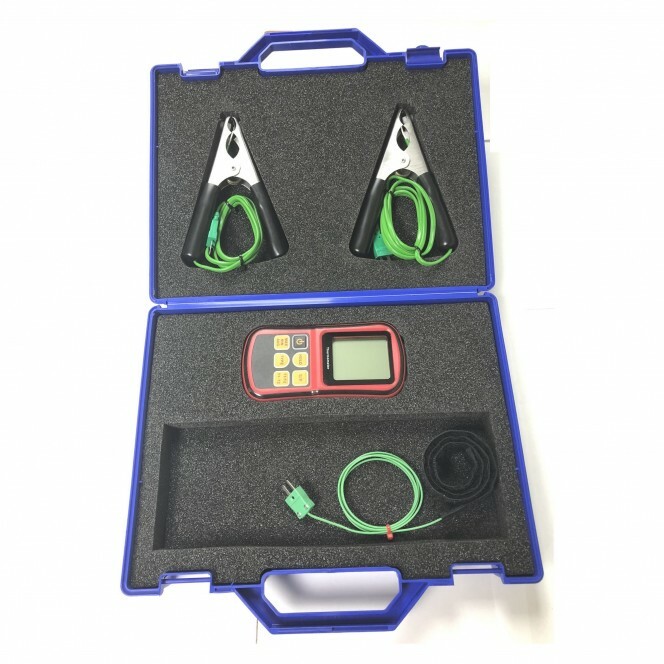 Comes with rubber holster that protects the meter from impact Portable and compact design. K, J, T, E, N, R/S modes.